Buy your weaving hair extensions from our poll range of varieties and collections. Our human hair comprises of both natural and processed hair to fit your lifestyle. The hair is available in a number of textures and colors just to make you look beautiful and attractive to everyone around you. Try our human hair collection and experience the highest quality hair from Kenyan online market. We offer a variety of different quality human hair to women, together with helpful information in understanding the several types of hairs we have on our site. It’s different from cheap synthetic hair; our human hair is fit for curling with hot rollers or straightening using hair straighteners to give you a natural look and feel. You can as well have it customized and dyed by a stylish to fit the shape of your head. Human hair at Kilimall is 100% human Remy's hair. Since this hair is crafted running in the same direction, you can easily cut and style it to suit your preferred taste. Our human hair will make you achieve a natural look and make you more beautiful and confident among your peers. If you are looking forward to putting up a good quality Brazilian Human hair, consider going for some of the Brazilian hair extensions we are selling. Our Brazilian hair is natural and has not been bleached, colored, dyed, permed or chemically processed in any way. Although the price is slightly higher, its span life is exceedingly longer. Our Brazilian hair is easy to maintain since it can be dyed, washed, and styled for some months. In addition to that, our hair can be tweaked to achieve almost all hairstyles, and the price is super affordable. The hair withstands dyes, chemicals and high heat hence giving you a value for your money. Brazilian hair is a popular hair type in Kenya with many customers buying it daily. All our hair are 100% Brazilian human hair extensions and can be curled, washed, straightened and dyed. If you are searching for Brazilian curly hair weave at an affordable price, make Kilimall your number one online shop today. In the Kenyan market today, it’s only Kilimall selling this popular Brazilin virgin hair to ladies with confidence ready to look young and beautiful. 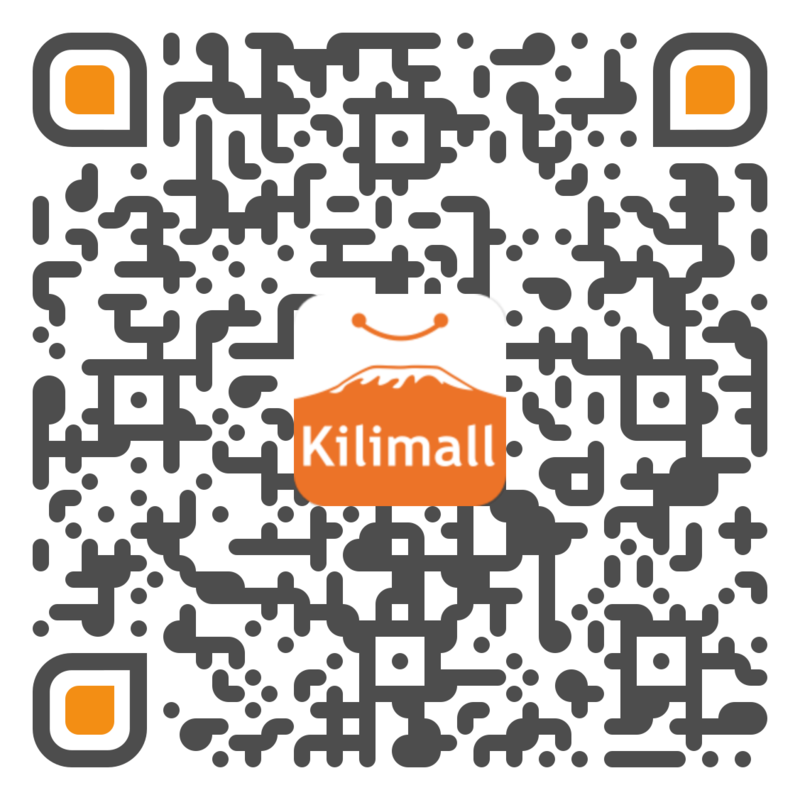 Beauty is in the eye of the beholder – for Kilimall is to make you attractive to him. Peruvian hair is durable, thick and can be curled and straightened repeatedly. It is because of this that Peruvian hair is considered one of the ultimate Multi-purpose hair. In a nutshell, it is coarser in texture than Brazilian or Indian hair and possesses a medium shine. When washed, Peruvian hair turns wavy hence providing instant volume. Our Peruvian hair is Remy and Virgin meaning you will look amazingly natural on it. Because of this, the hair can be bleached and colored easily due to the quality exalted. The cuticles of this hair are aligned in the same direction from the root to the end. It is this cuticle that protects tangling and breakage associated with sub-standard hair. If you consider doing a Peruvian hair, be guaranteed of durability, excellent texture to fit your hair, and instant volume. Several styles go well with Peruvian hair like the messy bun at the back or a deep full head curl. We are selling this hair at unbeatable prices just to make sure you put your best face forward. Having an attractive hair and being in a position to change it to your desirable hairstyle makes a woman feel beautiful and self-confident at the same time. That’s why at Kilimall we provide a simple and hustle free way to purchase the hair you have always dreamed of. With Indian Human hair, you can now enhance your natural look. Whether you like it long, short, or straight, Indian hair is made to match your own personal look. Our premium Indian hair can only be compared to canvas for an article masterpiece. If you buy our Indian hair, it is in perfect state: genuine, pure and without being altered with chemicals whatsoever. This means that when you consider this hair, you will be naturally beautiful, strong and healthy. You will be able to create any style you want to achieve exceptional results. We have committed ourselves to finest Indian Human hair so that you can be able to feel the superior quality immediately. We promise you a 100% genuine unprocessed hair from India, without any mix of other synthetic, animal or human hair. It is free from chemicals or hair color, and above all, it retains all cuticles in the original healthy state. Also, expect all cuticles of hair to be in the same direction with no hair tangling hassle. Purchase your preferred type of Indian hair and experience the difference. Remy hair is the top grade of real human hair and the most preferred choice for hairpieces, hair extensions, and wigs because it gives one a natural look. At Kilimall, we are privileged to bring you this finest quality human hair with intact cuticles and not striped. Get the beautiful and silky hair you have always desired with Virgin human hair extensions. We exclusively offer Virgin hair weaves in different high-quality textures including curly, straight and wavy. Virgin hair extension is of late popular due to its renowned durability and versatility. Our Virgin hair is soft, resistant to frizz and lightly textured. The best part is that it has never been processed, chemically treated or steamed in any way. It has a low-luster and natural appearance hence blends well with Africans and multi-ethnic hair types. Notable celebrities universally use Virgin hair because of its easy manageability and high workability. It’s versatile for different elegant styles and offers a natural appearance for a simple day-to-day chic. Since its 100% original virgin hair, the extensions withstands daily styling while still maintaining its splendid quality and beauty. Whether you prefer wavy, curly, or straight, our hair blends perfectly with any style. Human hair extensions are a quick solution to adding volume and length instead of waiting to achieve it solely through growing up your natural hair. Kilimall brings you a variety of human hair that you can blend in different styles and step out there in a natural look. However, we would like to offer few tips before you purchase any extensions from us. We want the hair to match your lifestyle and hair text, and hence it’s important you take into consideration different factors. Since human hair extensions are not a one-size-fit-all, check out few tips on how to pick the best human hair today! When choosing your best human hair, it’s obvious you have to find the perfect color match. At times, one's hair it’s not dimensional and hence most hair manufacturers offer hair extensions with bright colors, tri-blended and even dual-blended. A perfect color match will make sure you stand out blending seamlessly with your preferred hair and looking natural. Your lifestyle is squarely important when it comes to hair extensions. You have to consider which kind of hair you are going to put in your head as it requires a bit of extra maintenance. At times you will need to wake up early and fix it before you hit the road to your daily duties. In case you have a busy schedule and you have little time to maintain it on a daily basis, then go for clip-in extensions. This way you can skip few days and fix it when you have some ample time to style up. Your hair care routine needs several adjustments more so when you are on a semi-permanent hair extensions. Putting your lifestyle in mind means that your schedule will not be affected. You can indulge in your sports, work or even continue with your gym. You can as well consider protecting your hair by putting your hair into a low braid before any activity to prevent any tangling. We have a variety of human hair including Remy, non-Remy and synthetic. Our hair is made with 100% human hair, no matter which style you want to achieve, you will definitely have it. You can find the highest hair quality only from Kilimall and determine which duration you want to take with your style and natural look. When you buy your hair here, be assured that you are buying from a reputable source that sells high-quality human hair extensions. There are different types of common origin hair extensions from India, Brazilian, European and Chinese. Each hair extension matches a suitable hair texture. Brazilian hair is more suitable for medium density hair, whereas Chinese hair has a fine texture for low-density hair. You have to choose a hair texture that will match with your natural hair so that your hair extensions can look natural and blend well with your hair. When choosing the right hair for your head, also consider its weight to avoid additional stress on the roots. You are advised to try to match the hair density to prevent tension on the natural hair. In essence, if you have a fine hair, your natural hair extensions should be of lighter density; and those with thick ones should look for hair with less medium density. When it comes to placement, try and place it where the hair is strongest. You should avoid placing it along the hairline or at the back of the neck, where the hair is most fragile. If you have a certified hair extension stylist, then you will have semi-permanent extensions. He or she has to be passionate and someone who has taken time to learn it independently. A certified stylish delivers a proper and seamless application. Visit a good salon and seek professionals who understands fashion and looks. 1.How long is your natural hair? You realize that some applications methods demand an entirely bald head. On the other hand, some applications methods allow you to have some hair of your own before in order to use it as a base. 2.What's the duration of your hair extension? Some application is quick. Also, the clips are fast although you can’t sleep in them. Nano-rings and sew-ins take a bit longer, but they can last longer. 3.How many times will you apply them? Several applications use different methods. Some use the needle and thread while some use the hot glue. You can get a full radiant head only if you can get the right hair extensions. Kilimall offers this hair at great affordable prices. Our human hair vary in both type and quality, from high-quality human hair extensions to single use synthetic extensions, designed for ladies who desire a permanent solution. Add volume to your natural hair and also make it more versatile as you try different styles to fit your lifestyle. Also note that there are varies differences in human hair like appearance, quality, longevity and cost among the various extensions. Kilimall’s platform allows you to choose the best type of human hair extensions correctly. You should be careful when considering which type of hair extension would best blend with your natural hair and always look on Kilimall to get the best budget and quality human hair.